Public libraries and the services they offer are a basic need in life. In rural Nevada, they often serve as the only means of obtaining educational and recreational materials. This where bookmobiles come in. 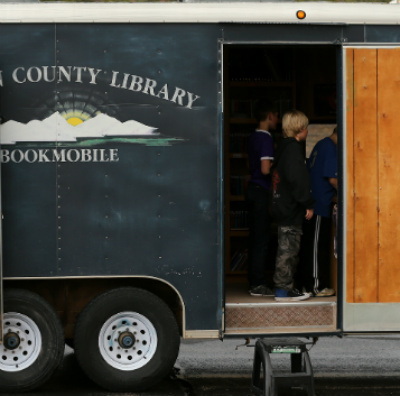 The state provides support to three bookmobiles throughout Nevada: Elko-Lander-Eureka County Bookmobile, Humboldt County Bookmobile, and Lincoln County Bookmobile. To learn more about these bookmobiles see the reports below.